Summers are here – the bright blue sky and scorching sun are to be a part of our lives now. Already it is so bloody hot and it is snowing in London!! Ugh….why cant we Kolkata-ns get the little flurries once in a while….Time to break out the summer wear and pack off the winter gear. 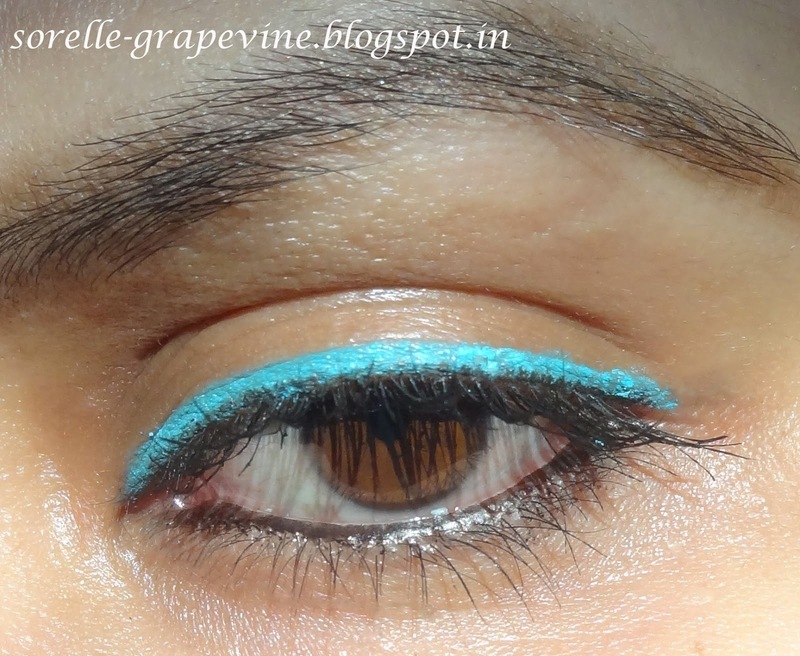 Lush Calm eyeliner reminds me of the clear blue sky of summers. Such a bright light blue shade that jumps right at ya. Perfect to add the pop to your look in the summer. A nice light and fresh face with this dash of color will bring in a breeziness to your look. Ok enough of sounding like an advertisement for this product lets get down to the nitty gritties. The Emotional Brilliance range from Lush has a standard packing of a glass bottle with dropper shaped cap. Each cap has a different applicator as per the product. Mine was sort of weird for this in the sense the bristles were curling in different directions and even dipping in the product they didn’t align themselves. Well that must be coz of the piece I got but check your piece if you intend to buy this one. The texture was drier than the Motivation liner. While Motivation glided on like a dream and a proper liquid liner this sot of clumps and goes on streaky. You need to work it with the brush (I used a different liner brush rather than the weird one I got with it) a few times before you can get a nice even line. The color tones down a little when it dries – from a bright looking color it tones down to a more powdery looking light blue. Pic was taken right after I had put on the liner. The color softens after sometime. Ok the color is the only thing I liked of my piece. 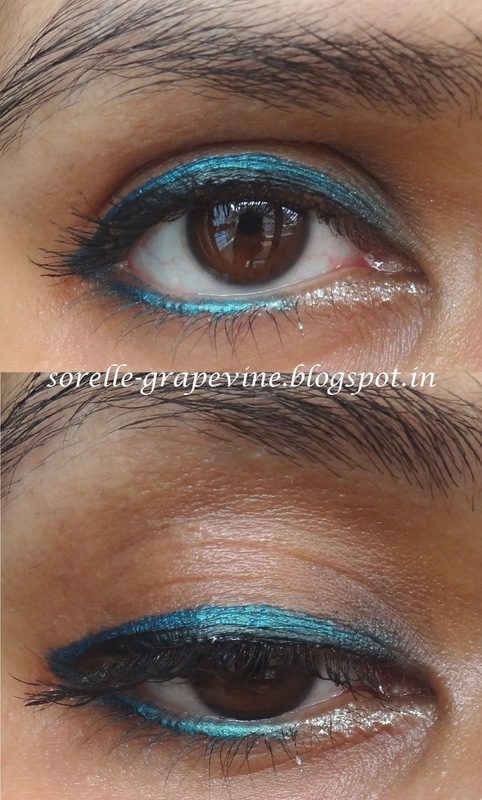 I paired it with a black liner and kajal to play out the look a little better. Again, I don’t know if it is the piece I got that was the root of the issues I saw coz I bought mine online or if the product actually is like that. Though it didn’t seem as dry when I saw it first (though even then by no means was it close to Motivation) but I felt it got drier over time. And I haven’t really used it before. I just checked it out when I got it and since then it has been lying in my drawer untouched. I think I must have reviewed the other liner in Jan-Feb sometime so it hasn’t been that long. Price I paid was Rs. 650/- since I got it in the 50% off time but the actual price is Rs. 1300/- for 5 gms of product. I will be off to Mumbai this Saturday and there will be no posts on the blog for a week. But hopefully when I get back I will be having some exciting updates and articles for you all. And I will get to attend my first bloggers meet….Yea!! I’m super excited about that…So hope to see some of you out there. Later….Peace! Would you purchase Lush Emotional Brilliance Eyeliner Calm again? – No I would not. Would you recommend Lush Emotional Brilliance Eyeliner Calm to your friend? – No. Hello my dolls. 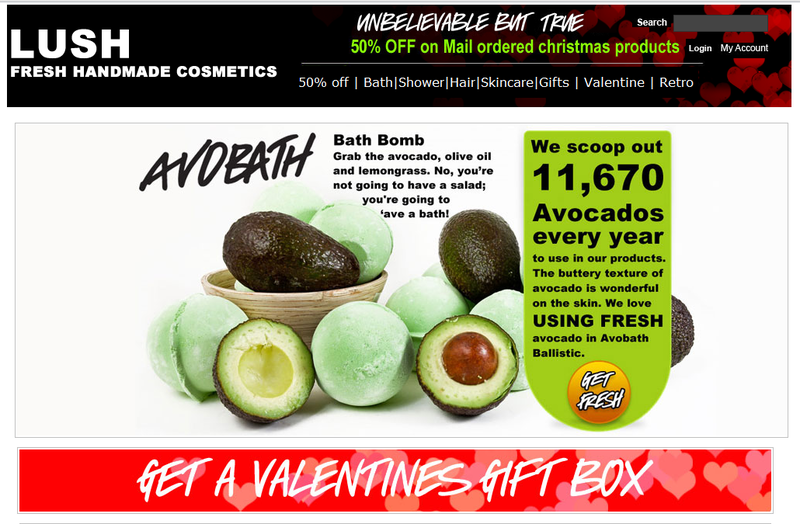 I don’t know how many of you saw the sale that Lush was having very recently. They had their Emotional Brilliance range at 50% off!! I remember how a whole bunch of people were super excited when this product launch was first announced but got put off due to the high price mark, it was tagged at Rs. 1300/-. I wanted to try something from it so I didn’t go like gung-ho but showing major restraint got a lipstick from the range. Review on that later. It comes in a 2-3 inch glass bottle with a dropper shaped cap. They have attached a fine liner brush on the cap which is decent. Actually I got 2 liners and the brush in one of them was decent but not the other. 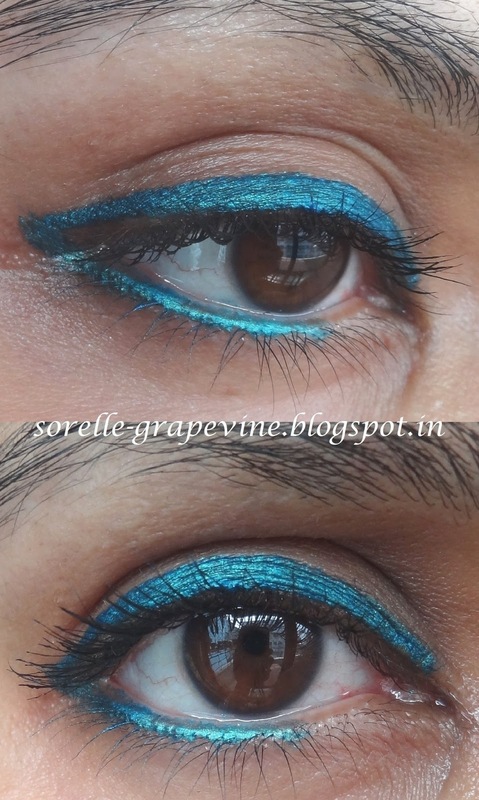 It is a deep blue shade with lots of gold shimmer in it which actually gives the color a greenish tinge. 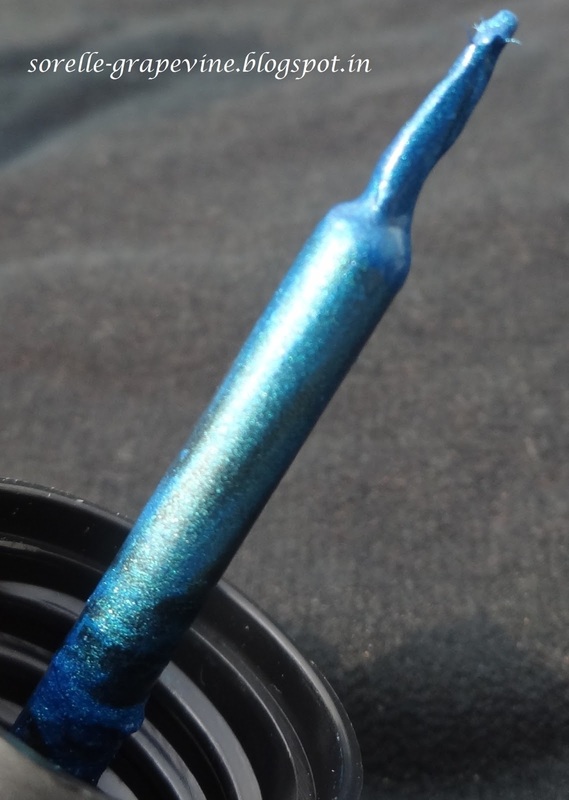 The best way I can describe it is that it is a Peacock color. Omg! I’m in love with the shade. It has a slightly oily smell. Texture is beautiful. Just glides on the skin. Did I mention how much I love the color?? This shade will work on any skin tone and give it that touch of elegance. I wore it by itself first and then teamed it with a black liner and results were equally good. I felt that it complemented my brown eyes beautifully adding richness to their color. So what do you think? Do let me know your thoughts about this product or this review. See you next time. Love you all. Ciao! 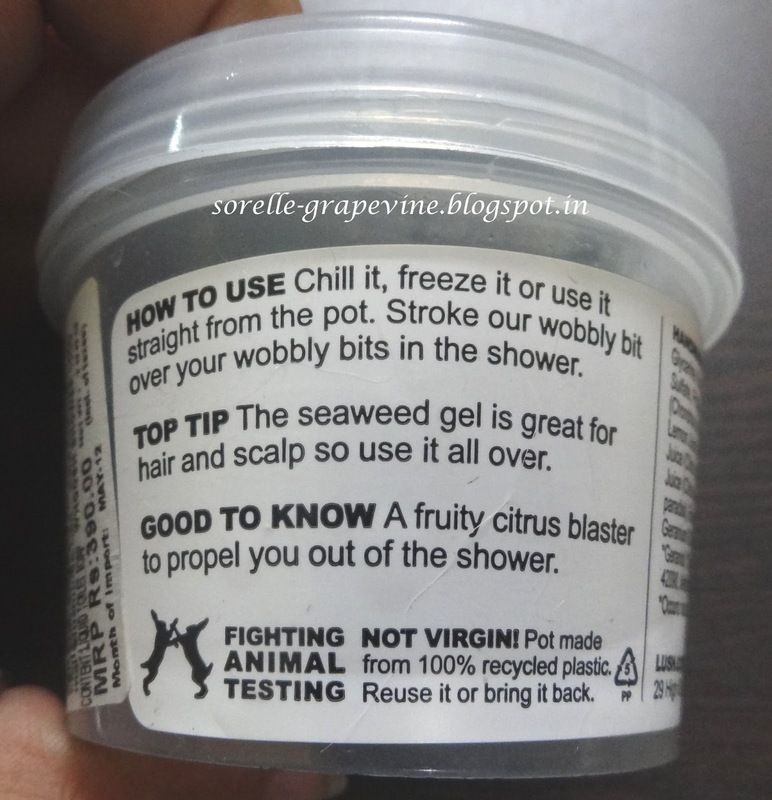 Normally I love all Lush products. I was a total junkie awhile back where I would make it a point to order their online exclusive deals. They had some great picks BTW. My sis gifted me an assortment of Lush goodies for my birthday which was such a big and sweet surprise. 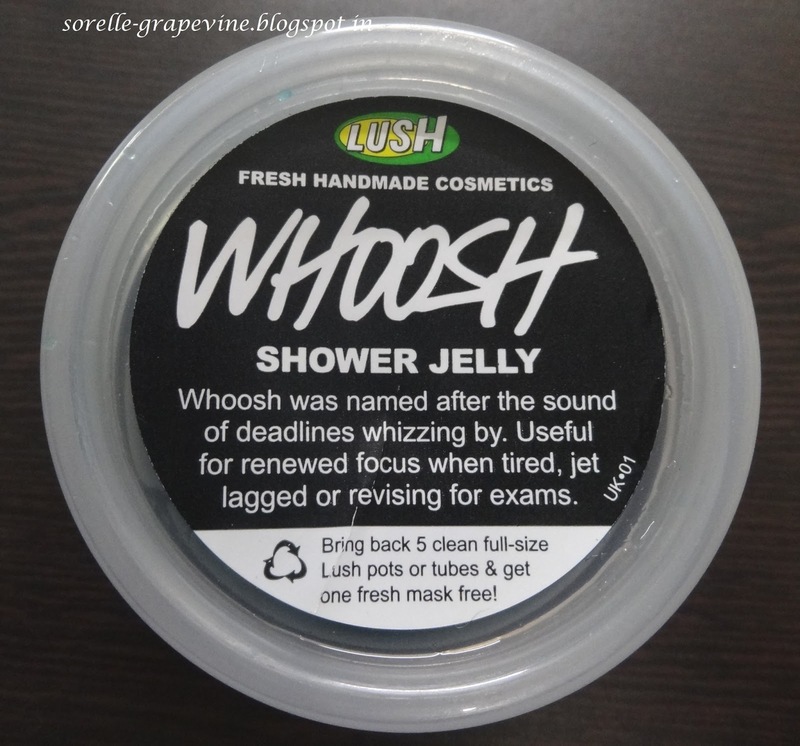 Today I’m gonna talk about the Lush Whoosh Shower Jelly. The name sounds so cute! and the product looked cuter. 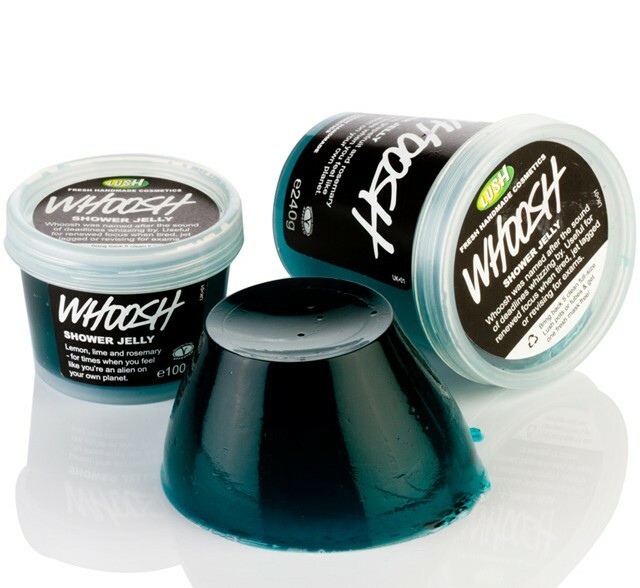 A deep blue transparent jelly wobbling away in plastic tub. It smells so fresh and soothing at the same time. A rich citrus smell with an underlying hint of floral. I was super excited to try it out. It can be used both for your hair and body. Well the good bus stops here. I got a cardio in the shower trying this out. Ok fine I’m exaggerating but it was damn difficult. I tried to break a bit of it but it was sort of tough to do so and finally when I was successful I got a small lump. Then I took out the whole jelly mass and tried (operative word “tried”) to rub it on my skin to get some lather. The damn thing kept slipping out of my fingers!! The more I tried to hold on the faster it would slip out! The lathering part was painful but I got a decent lather. To top it off chunks kept breaking out of the lump and falling on the floor thereby causing product wastage. On the pack it is mentioned that you can freeze it and use. 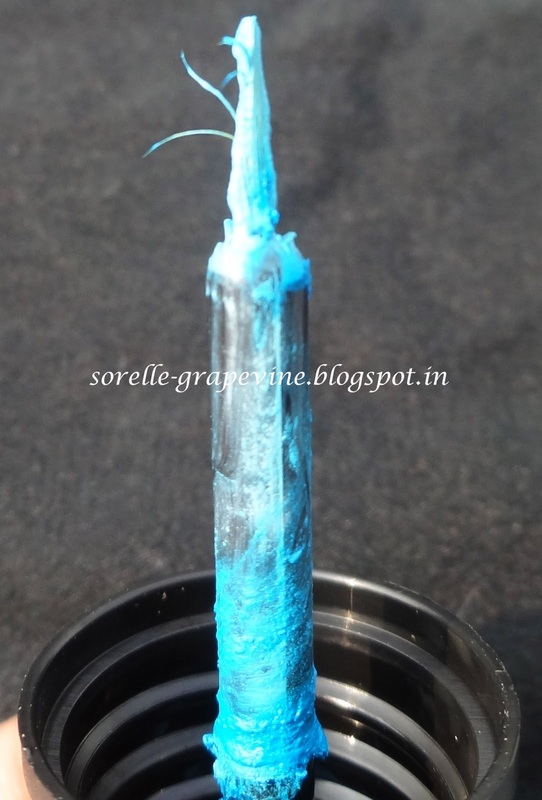 I thought this would help to bring in some solidity to the texture thereby making it easier to use. Boy was I wrong :p. The texture remains absolutely the same but the color changes to a lighter opaque blue. Sigh…. 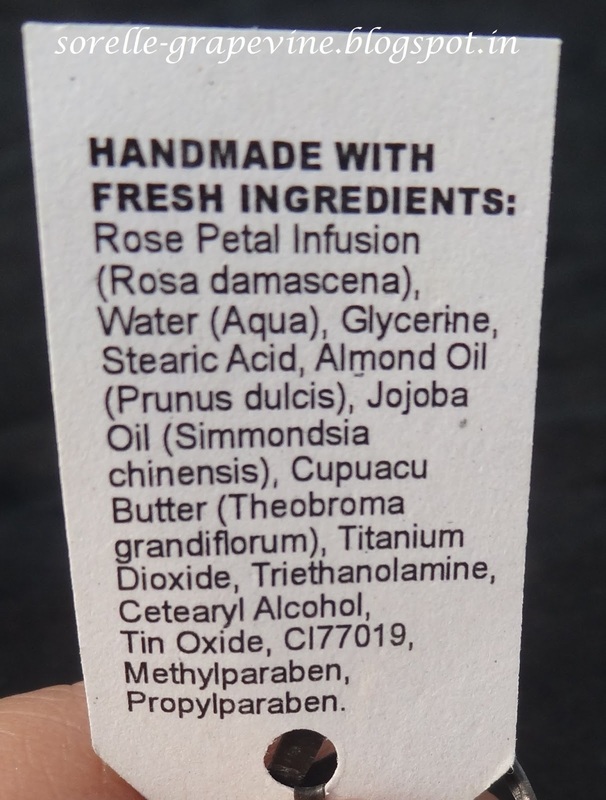 Dear Lush – If this is a fab product and if I’m completely missing the point then please include special instructions for the usability-challenged people like me. Or mark this as a kids only product. I’m too old to be doing this. I do appreciate your concern for my health and the extra exercise but please I could do without that in my shower. Thank you. Price is Rs. 390/- for 100 gms of product. To sum it up, if you are a fitness fanatic and don’t want to miss a single moment of exercise in your life then this product is so you. But if you like me prefer a normal slow paced life then stay clear of this product. Kids would love the madness though. Hope you all liked my review. Until next time – Stay healthy and be safe! Ciao! PS – some people recommend using it with a loofah. I would rather get the regular shower gel/cream then. Would you purchase it again? – Nope. 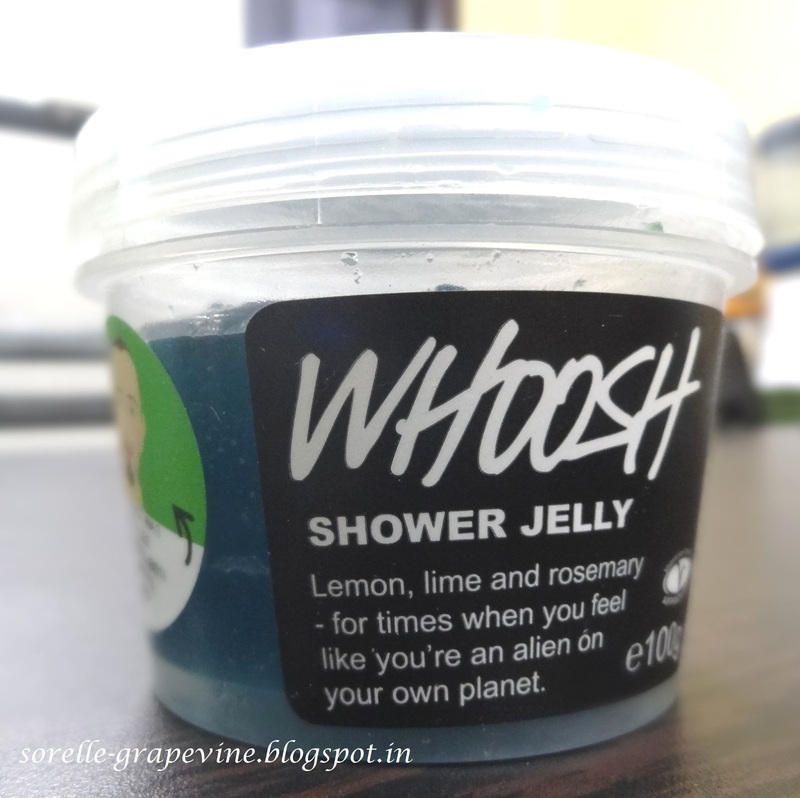 Lush India is having a sale people! They are clearing out their Christmas collection for 50% off and this is specially for their online ordered purchases. I just could not resist when I heard about it. 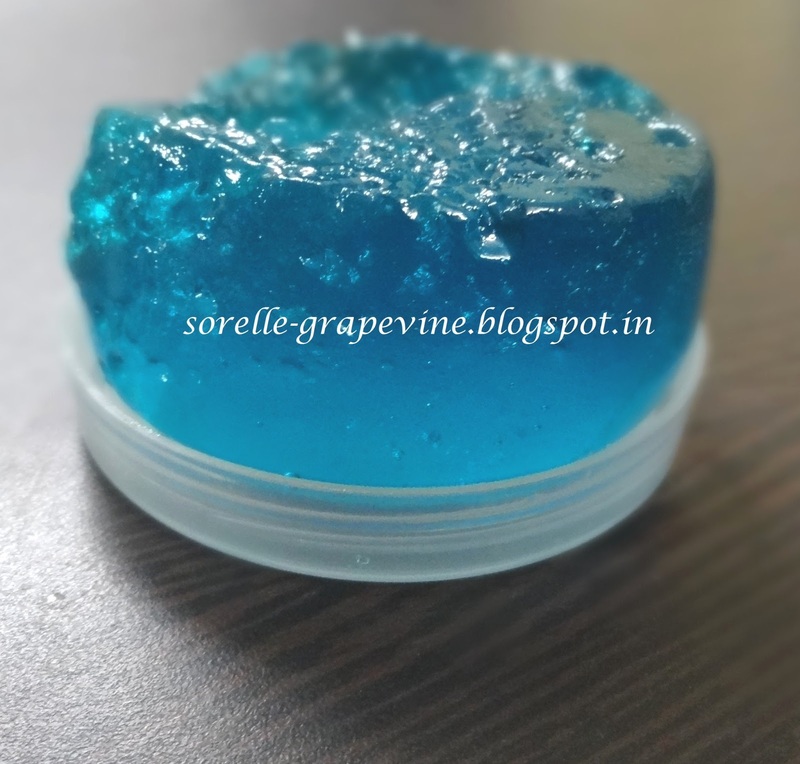 I bought 3 soaps from their Christmas collection – Snow Globe (Price – Rs. 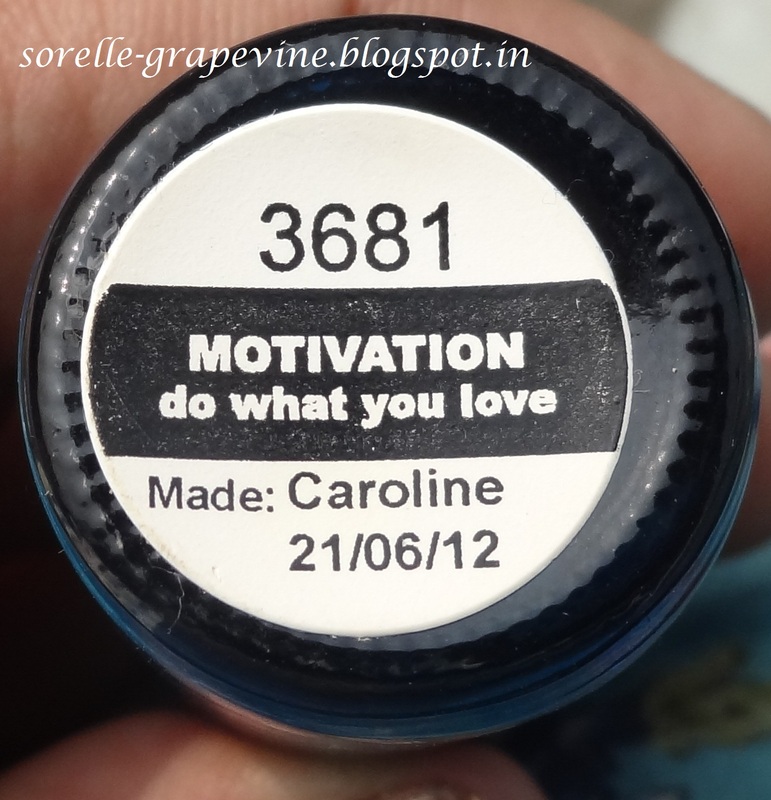 300.90/- for 100 gms, I paid Rs 148/- ), Northern Lights (Price – Rs. 395.20/- for 100 gms, I paid Rs 190/- ) and Snow Cake (Price – Rs. 358.80/- for 100 gms, I paid Rs 173/- ). Apart from this I bought a new product called Toothy Tabs in Aquatic (Price Rs. 420/-). I will talk about this more later in the post. I was charged Rs. 262/- for shipping :p.
Its a light mint green color soap with white soap halves in it. 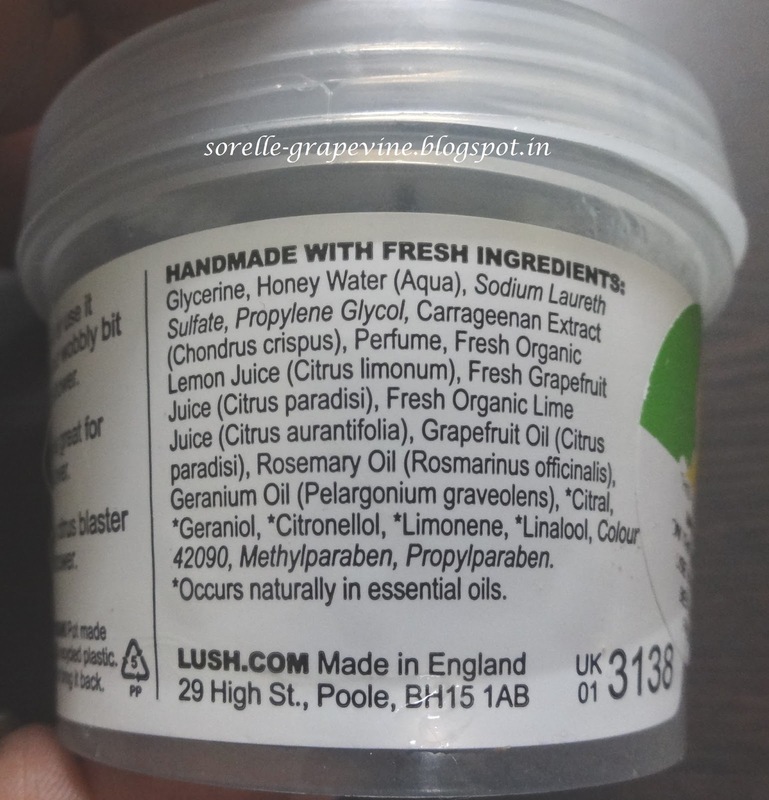 In its description it mentions that it contains lemon myrtle and grapefruit in it. Actually all you can smell is the lemon scent which is quite strong. I cant smell any grapefruit at all. If you don’t like citrus smell then so steer clear of it. I was kinda excited about it when I read grapefruit but now I’m actually disappointed. I have not used any of the products so cant comment on that. But first impression is – so so. This is a neon yellow plus green color soap. As weird as it looks it smells just as awesome. It has a very fresh feeling scent with pine, cypress and lime in it. All the fragrances balance each other out. I got this because I liked the description they had given on the site. But I was not expecting much. I was pleasantly surprised with it and now it is my favorite of the lot. First impression – Love it! When I read that it smells like marzipan I knew I just had to get it! It is white in color and has some gold dust on top. When you first smell the soap then you are hit with the scent of bitter almonds which is quite unpleasant but when you get past that then it has a very nice musky floral sort of smell. I was the most disappointed with this as I had high expectations of it. If only the almond smell was absent then this was a definite hit! First impression – boo. It is supposed to be a solid toothpaste. You are supposed to break it between your front teeth and using a wet toothbrush brush your mouth. I found the idea really interesting as it is a small pack and so much easier to carry than your regular toothpaste while travelling. The pack contains 40 tabs. So what are you waiting for? They have some more soaps, shower gels and bath salts to suit your fancy. And at 50% off I think that these products are a steal. Happy Shopping!